We are all time-poor, so finding ways to achieve more in less time is not just on my list but yours too, right? And being fit is sooooo important for all areas of our life. So when I came across the book The One-Minute Workout: Science Shows a Way to Get Fit That's Smarter, Faster, I just had to pre-order it (it will only be out in 1 ½ weeks. Thankfully Amazon allows for that. When looking at Instagram you could get the impression that fuller lips are a big trend. A study published just 2 weeks ago in the JAMA Facial Plastic Surgery journal though had looked at fashion models in the Vogue over the last 50 years … And they couldn’t find any difference in lip size at all. So how does it come that more women rush to clinics to get their lips filled up? It might well be that with all the social media and the exposure that celebrities can have nowadays, fashion has less of an influence than it used to. What do you think? As you might remember I’m from Berlin. So when the Berlin Fashion Week was on earlier this week I kept an eye on the trends for next winter. And you’ll be happy to hear that femininity is key. Colors like pink and red/bordeaux are at the top of the list … And so is some shine. Let’s bring some glamour back into our lives … and even though this winter is not over yet, this new trend will definitely light up the next one. Also, suits, especially triplets, will be back in fashion and so will be some neo romanticism: layering, frills and floral designs. As you might know I have 2 grown-up daughters. Listening to this short (not even 4-minute) talk What will you tell your daughters about 2016 from Chinaka Hodge actually brought some tears to my eyes. I am publishing the newsletter here on our website with a delay of 2 weeks … And – I do admit – I leave out a few of the most juicy information and tips and time-sensitive information and offers. I want this to be reserved for my most loyal ladies who really want to enjoy life to the fullest … and are willing to do something about it. 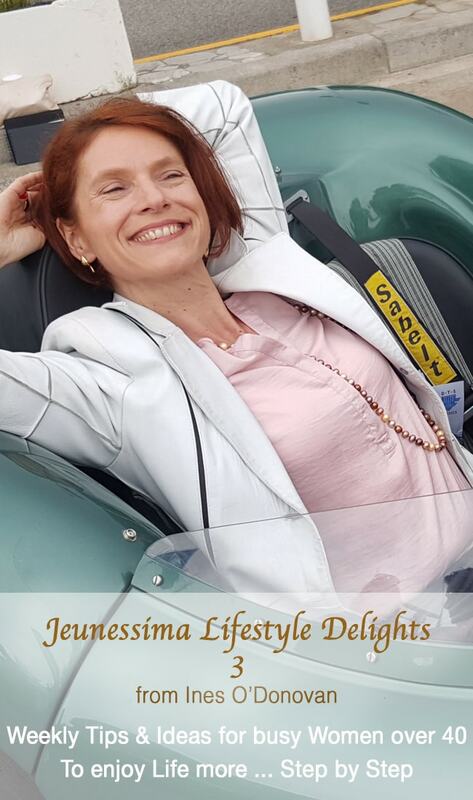 If you want to join the Jeunessima Women tribe and receive the weekly Jeunessima Lifestyle Delights, send me a mail to service @ jeunessima.com.